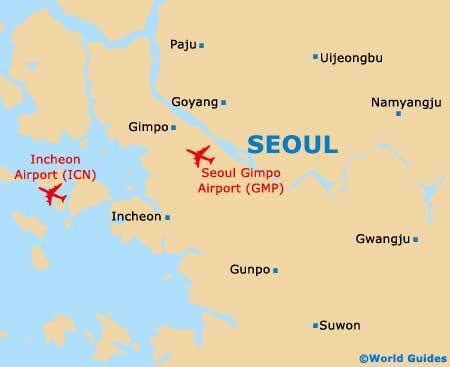 A truly global, buzzing city and the host of the Olympic Games in 1988, Seoul is the South Korean capital and also the country's biggest - by far. Seoul is also amongst Asia's most expensive and wealthy cities, and recently renovated the important recreational space of Cheonggyecheon at a cost of just under US$1 billion. Huge numbers of tourists flock to Seoul each year, to soak up its culture, enjoy the cuisine, and watch a soccer match at the 64,000-seater World Cup Stadium, where the FIFA World Cup soccer tournament of 2002 was famously staged. The heritage and tourism scene within Seoul is undeniable, with fortresses, temples, shrines, palaces and ceremonies all vying for your attention, along with modern skyscrapers, glitzy shopping malls, and multi-media and entertainment complexes around the Itaewon, Jamsil and Namsan area. Free maps and endless tourist information can be found at both the Korean National Tourism Organisation (KNTO) and at the Seoul Metropolitan Council. Tourists looking to see the main sights of Seoul should consider heading to the towering 63 Building, which is one of South Korea's tallest skyscrapers and home to all manner of attractions, ranging from its Sea World Aquarium and IMAX theatre, to observation deck and restaurant. Children will enjoy a day out at the Children's Grand Park, where fast rides, animals and gardens are side by side. For a taste of history in Seoul, check out the palaces of Changdeok-gung, Deoksu-gung and Gyeongbok-gung, or the breathtaking Mount Inwang Shrine. 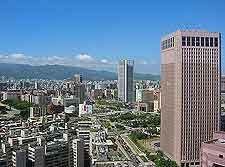 More information about Seoul Tourist Attractions. Further ancient sites come in the form of the Great South Gate (Namdaemun Gate), which stands in the very heart of Seoul, close to the Namdaemun Market, and dates as far back as 1398, although it has been renovated a number of times since. Alternatively, check out other notable Seoul landmarks like the Admiral Yi Sun Shine Statue or the Gate of Rising Benevolence (Dongdaemun). If you have the time, take a trip to the Mount Pukhansan and enjoy views of the valleys and granite peaks, while close by, the Pukhan Fortress and in excess of 100 temples await. 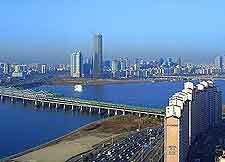 More information about Seoul Landmarks and Monuments. As well as being a city of skyscrapers and temples, Seoul is also a city of museums. Of note is the National Folk Museum of Korea, which boasts an enormous collection of pottery and earthenware. Another highlight is the National Museum of Korea, where archaeological information and art are successfully combined. Further art works are on display within the acclaimed Seoul Metropolitan Museum of Art and also at the National Museum of Contemporary Art, both of which could easily fill an entire afternoon. 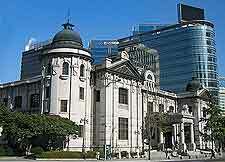 More information about Seoul Museums and Seoul Art Galleries. Many interesting South Korean attractions lie close to Seoul and are ideal for tourists considering possible day trips. The Korean Folk Village is nearby and known for its traditional culture, wood carving and dancing. Also suitable for an excursion is the Namhansanseong Provincial Park, which is located to the south-east of Seoul and contains the Chonggyedang Shrine. To the west, Yeongjong Island is where you will find the city's Incheon International Airport, as well as Eulwangni Beach and other coastal attractions. 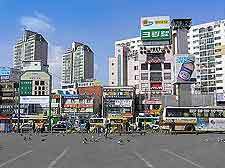 More information about Seoul Attractions Nearby.